Having seen this album enthusiastically reviewed elsewhere, I requested a copy for a Fireworks review. 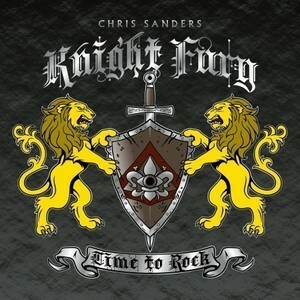 Knight Fury is a band assembled in 2011 by guitarist Chris Sanders, having previously been a member of Lizzy Borden. He attracted a seasoned rhythm section comprising veteran drummer Ken Mary (Fifth Angel, Chastain, Alice Coopre, Impellitteri, House Of Lords, et al) and bassist David Ellefson (co-founder of Megadeth). Vocalist/lyricist is the amazing William King whose higher register (slightly nasally) vocals are a sort of cross between Mike Tramp/Bruce Dickinson! The four had previously worked together on the Northern Light Orchestra album ‘The Spirit Of Christmas’. 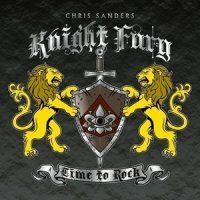 This impressive 40-minute, 10-track melodic album is brim full of memorable songs with soaring choruses and varied guitar breaks (the songs all seem to have a “certain” structure to them to ensure they include a Sanders showcase) that have a very strong 80s vibe running through them. ‘Nothing Left’ is a fine number to open the album, and immediately nails the quality of this joyous album, and shows Sanders to be something of a Joshua Perahia / Jason Becker clone! It’s a rousing song that (like all the others here) really nestles firmly on the stylistic continuum between MHR and melodic metal. ‘Attack’ picks up the pace, and is another that quickly hits the sweet spot highlighting what a great find vocalist King is, as well as the superb shredding guitar of Sanders. ‘Forbidden’ drops the pace, has a higher AOR-ish quotient, once again showcases the tremendous vocals of King and could have been a worthy alternative opening track to the album. Indeed, the whole album has “derivative” running through it, but when it’s done as well as this, and is so evocative of a much missed (by many readers of this magazine) era, then there can be few complaints. ‘Time To Rock’ is very well worth seeking out if my comments resonate with you!